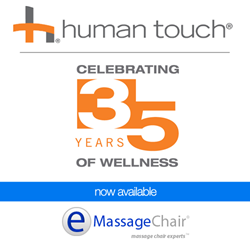 Human Touch, a pioneer with 35 years of Massage Chair experience, is now available at the #1 Massage Chair Store. Human Touch has been widely popular because they've always designed products that both aesthetically pleasing and highly functional for massage therapy. Human Touch the massage chair company behind the some of the best selling relaxation chairs is now available at Emassagechair.com. 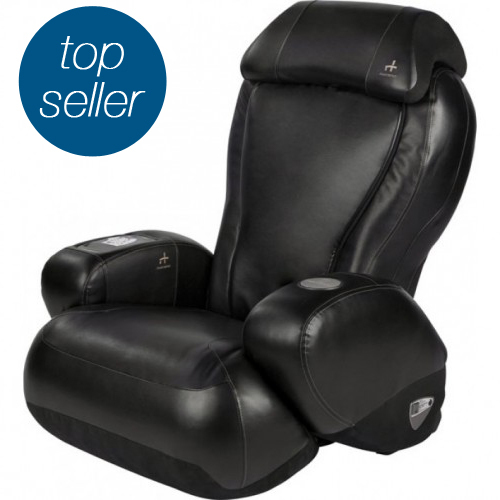 Celebrating their 35th anniversary, Human Touch is well known for their iJoy and their Perfect Chair zero gravity recliners. Human Touch became widely popular because they've always designed chairs that are easy to use and aesthetically pleasing. Over the years they have achieved several major milestones and it all started in 1979 when they created the Acu-Massage Table for massage therapists. They took it a step further in 1985 when they released their first massage chair that also incorporated the first contoured design, known nowadays as the S-Curve. Then in 1990 they helped push the Quad-Roller design that enhanced the lifelike feel of the massage heads. Since then many of their models were designed to blend massage functions with an everyday contemporary and modern furniture look. To stay on the cutting edge they have continuously tapped into the wellness and athletic community to help fine-tune their features and designs. Known as their Wellness Council, they have a team of experts who can help people interested in their chairs understand the science behind their technology. With proven scientific methods their Wellness Council has offered educational resources to everyday shoppers and the massage community as a whole. Human Touch has always prided themselves on pioneering new massage advancements. Some of their newest designs that focused on Immersion therapy received wide acclaim. Two of their Immersion Chairs, the Human Touch ZeroG 4.0 and ZeroG 2.0 both received the prestigious ADEX award for design excellence. 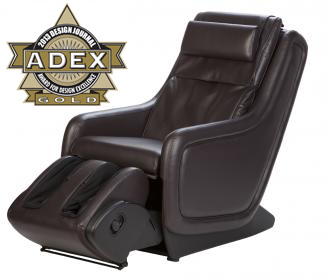 Several of their other recliners and massage chairs have received the ADEX award over the years and in 2011 they received the CES Innovation Award for their AcuTouch 9500 chair. 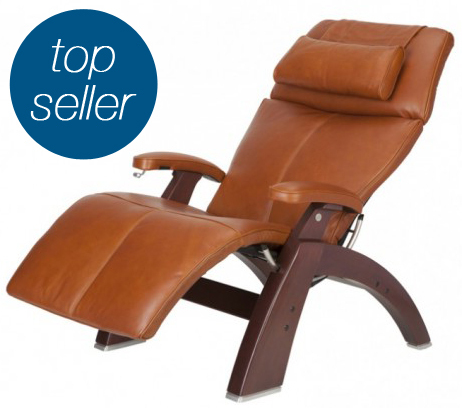 Human Touch has not only been recognized by the design community but also by shoppers looking for a massage chair that fits in easily with their current décor. Many massage chairs are designed to look contemporary and aren’t always the best for casual sitting like traditional loungers. Human Touch seems to be fully aware of this and continues to blend furniture and massage into products that are comfortable and functional. With their Patented Massage technology they have created a framework for massage furniture that is proven and effective. They have also been recognized by organizations within the wellness community like the World Federation of Chiropractors, The International Chiropractors Association, and the Consumer Electronics Association. Human Touch has also been able to offer more than just chairs and they’ve come out with a line of foot massagers and calf massagers under the clever name CirQlation. A lot of people don’t need a full massage chair and find great use out of massagers that focus on one specific part of the body. People find these as very viable and affordable options that take up less space. The massage chair experts at Emassagechair.com are excited to add this US based iconic brand and they will continue to help educate shoppers on all the great benefits of Human Touch massage chairs as well as helping them learn about future massage products. Emassagechair.com is happy to answer any questions shoppers may have about Human Touch chairs. A massage chair expert can be reached at 888.360.9996, by emailing support(at)emassagechair(dot)com, or through Online Chat.